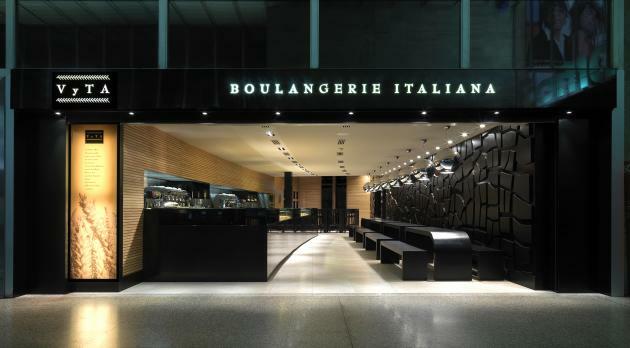 Colli+Galliano Architects have designed the Vyta Boulangerie in Rome, Italy. Visit the website of Colli+Galliano Architects – here. The project developed from one of the most simple and antique components on our dining table – bread. 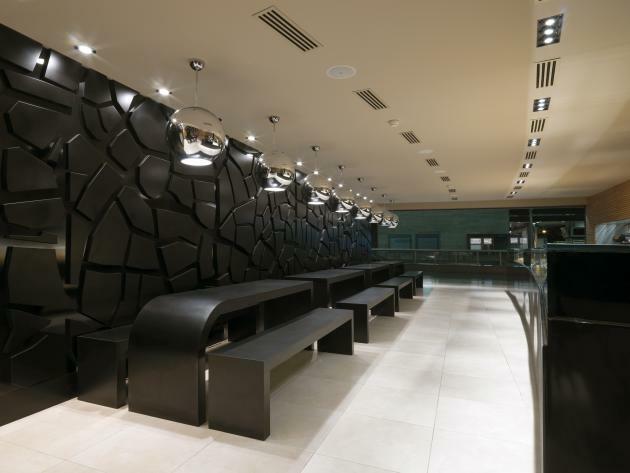 This bakery was created inside a railway station, the modern symbol of speed and progress. The precise desire for integration and dialogue with the architectonic context is obvious from the very beginning. It shows that Vyta is totally projected towards the outside, and separated from it by a simple black portal. 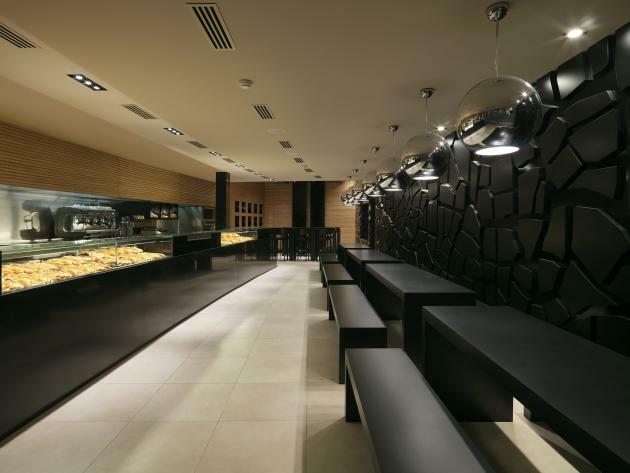 This was the theme of the interior design for the bakery, which starts from the traditional image of the bread shop; this is then reduced progressively to its essential features, in the quest for immediate and universal language, that can guarantee the maximum usability in this place of transition. 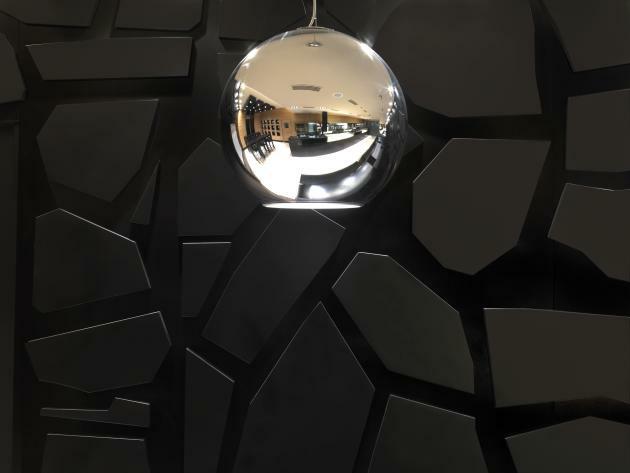 The familiar colors of oak wood harmonize with the pale colors of the flooring and the ceiling, leaving space for monolithic furnishing accessories in black Corian that catalyze the attention through their symbolic purity. The polyfunctional counter is the heartbeat of every busy shop and in this case is used as an essential exhibition structure. There is a large decorative wall consisting of a paste creation symbolizing the surface and the fragrance of a bread crust. 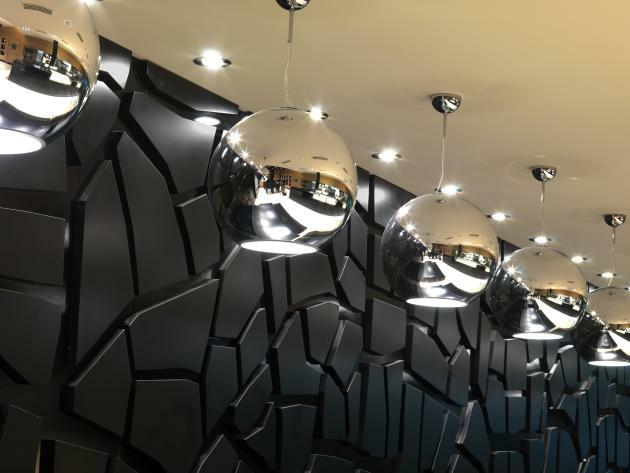 This element has strong aesthetic and metaphoric connections and is used as the backdrop to a series of elongated tables and benches, where the consumption of a hasty meal is mixed with the ancient ritual of conviviality thanks to the intelligent use of lighting , enhanced by spherical suspension lamps in chrome-plated metal that invite and beckon while amplifying the space. In a delicate combination of prospects, the counter and the wall behind it curve towards the more intimate portion of the room, animated by tables and chairs submerged in a welcoming atmosphere and display alcoves similar to compact black boxes. These offer wines and oils originating from various regions in Italy. 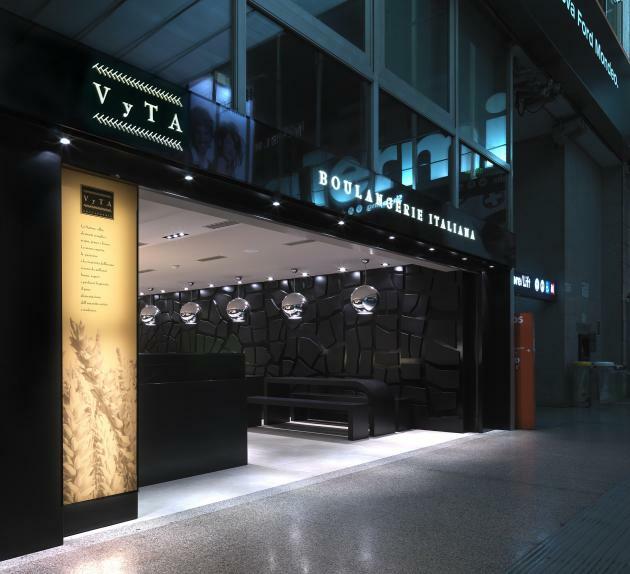 There is maximum design uniformity that slides unobtrusively into the busy station, while allocating ample room for the people waiting to depart, creating a relaxing ambience closely linked to the traditions that are hidden behind the minimalist lines-making Vyta a valid alternative to the world of fast food, and promoting good food culture.